The New Priority Postage Paid Stamp is currently available. See below for details. 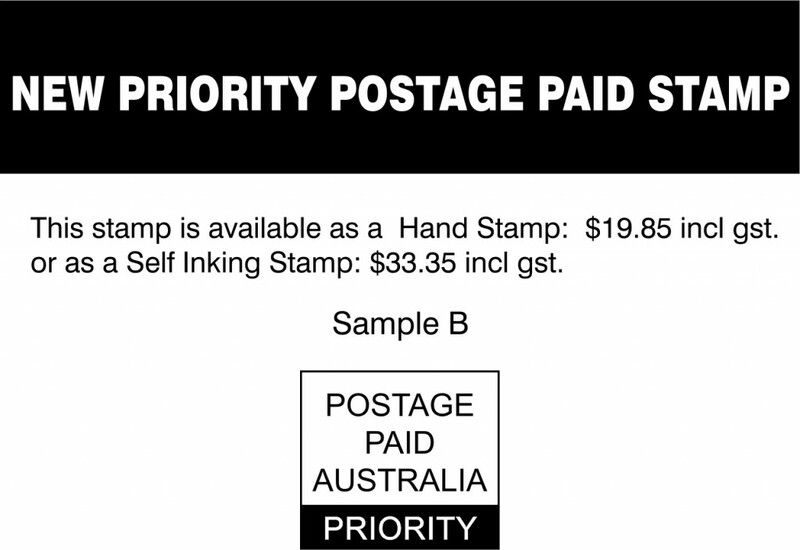 A New Priority Postage Paid imprint was required as of 2nd June 2014 because a new delivery timetable was being introduced from Australia Post. Customers have to choose between Regular Mail for which the current Postage Paid imprint applies and the New Priority Postage Paid imprint. The current Postage Paid Australia imprint will be used for Regular Mail.>Click here for the Australia Post timetable. 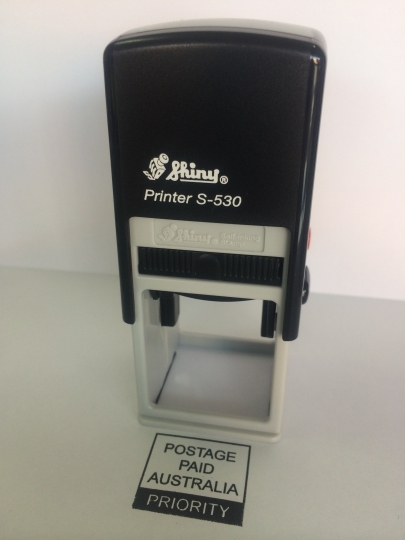 We can supply you with a Self Inking or Traditional Hand Stamp with the New Priority Postage Paid impression. The stamp can be placed on your current stationery or for use on blank envelopes and parcels. 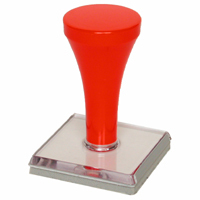 The Traditional Hand Stamp requires the use of a separate stamp pad. 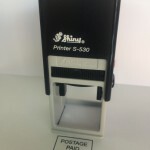 Furthermore we have Stamp pads and ink available to purchase online. The Self Inking New Priority Postage Paid Stamp is particularly useful if you have a lot of envelopes to stamp as it saves time because you are not double handling the stationery. When the image starts to fade simply buy a new pad or ink to make your impression like new. Your stamp should give you thousands of impressions before you need to re-ink. If you wish to purchase the standard Postage Paid Australia stamp either do so from this page or see the menu above. The measurements of Sample B are 26mm x 24mm. Simply Click Here to contact us by email, phone or fax or if you wish to purchase online Click here for Hand Stamps or Click Here for Self Inking to go directly to the store to purchase your stamp.